Our Sunshine dining table is made of a high quality resin, and features a unique design in the leg structure--its mid-section is higher so any umbrella base can be placed under the table. 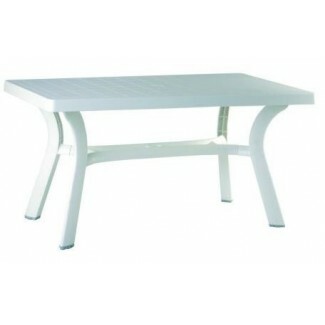 Its strength and durability make it ideal for hospitality environments. Available in White.